Psychologist Mihaly Csikszentmihalyi says we can achieve one of our most elusive needs, self-actualization, by seeking moments of "flow." Psychologist Mihaly Csikszentmihalyi says we can achieve one of the most elusive needs — self-actualization — by finding a state of "flow" in our work or our hobbies. Mihaly Csikszentmihalyi is a leading researcher in positive psychology. He developed the notion of "flow" — the immersive moment when a person is completely involved in an activity for its own sake. 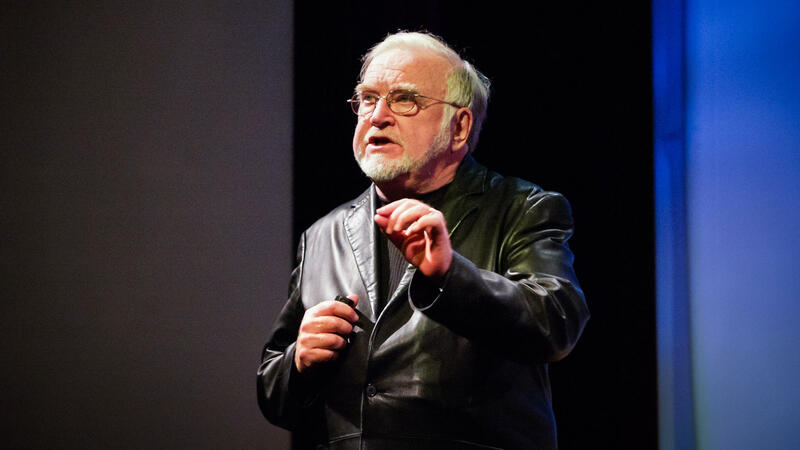 Csikszentmihalyi teaches psychology and management at Claremont Graduate University, and he is the director the the Quality of Life Research Center there. He has written numerous books and papers about joy and fulfillment. So once you make it beyond the basic needs - physiological needs, security needs - beyond the needs of self-esteem and love and belonging, what could possibly be left? ABRAHAM MASLOW: Now, the idea is this - what are the motivations of people who are beyond the needs of the ordinary style because they're already satisfied? Now, what moves them? RAZ: In 1966, at the time of this recording, Abraham Maslow described what was then a new idea to psychology - the final stage of his hierarchy of needs. He called it self-actualization. MARGIE LACHMAN: Well, self-actualizing is highest level of the hierarchy in the sense that people who are really focusing on growth and finding meaning in life and purpose in life. RAZ: This is Margie Lachman. We met her earlier. She's a professor at Brandeis, as was Abraham Maslow. LACHMAN: People like Eleanor Roosevelt and Abraham Lincoln were some of the examples that he gave for people who were self-actualizing. One of the stories I like to tell my students is that when he was here at Brandeis, he interviewed about 3,000 students searching for self-actualizing students, and he was very disappointed. He didn't find one that would qualify as being self-actualizing. LACHMAN: So when I tell my students that, I quickly say to them, but don't worry, as you age and have more experiences and get to learn more about yourself, then you can really enter this realm of growth. RAZ: Abraham Maslow died suddenly of a heart attack in 1970. He was just 62. But if he had lived long enough to continue researching self-actualization, it might have looked a lot like the work of another famous psychologist. How should I - what should I call you? RAZ: With kind of a difficult name. CSIKSZENTMIHALYI: ...Mihaly is fine. Mike is acceptable, too, sure. RAZ: Oh, oh, great, OK.
CSIKSZENTMIHALYI: Because that's what it means. RAZ: Mihaly Csikszentmihalyi, or Mike, was born in a part of Italy that's now Croatia. He's 82. And when Mihaly was a young psychologist studying in America in the 1950s, Abraham Maslow's ideas were just beginning to take hold. RAZ: Like Maslow before him, Mihaly was drawn to the question of self-actualization and what we need to be truly happy. So after years of research, he came up with an answer, and one that made him famous in the world of psychology and human behavior. Here is Mihaly's TED Talk. CSIKSZENTMIHALYI: About 30 percent of the people surveyed in the United States since 1956 say that their life is very happy. And that hasn't changed at all, whereas the personal income has more than doubled, almost tripled, in that period. But you find, after a certain basic point, increases in material well-being don't seem to affect how happy people are. So my research has been focused more on where in everyday life do we feel really happy. And to start those studies about 40 years ago, I began to look at creative people - first artists, then scientists, and so forth - trying to understand what made them feel that it was worth doing things, for which many of them didn't expect either fame or fortune, but which made their life meaningful and worth doing. RAZ: At first you'll enjoy the simplest things that you are doing, and you are proud of being able to do the scales in music, let's say, or to play a very simple tune. CSIKSZENTMIHALYI: You say, OK, how can I take the next step? RAZ: The next step - maybe you've heard this - is you practice a lot. CSIKSZENTMIHALYI: Eventually, after, you know, about 10,000 hours of practice, you can play whatever you want. RAZ: And once you practice enough, eventually, you can achieve a level of mastery in what you do that allows you to enter a special state of mind when you do it. Mihaly studied all kinds of composers, including Oscar Peterson, who wrote this piece of music that you've been hearing. And all those composers describe the experience of losing themselves in their music, in their work, in a way that made them truly happy. One of the composers who Mihaly described in his TED Talk called it a state of ecstasy. CSIKSZENTMIHALYI: Now, he says also that this is so intense an experience that it feels almost as if he didn't exist. And that sounds like kind of a romantic exaggeration. But actually our nervous system is incapable of processing more than about 110 bits of information per second. And in order to hear me and understand what I'm saying, you need to process about 60 bits per second. That's why you can't understand more than two people talking to you. Well, when you are really involved in this completely engaging process of creating something new, as this man does, he doesn't have enough attention left over to monitor how his body feels or his problems at home. He can't feel even that he's hungry or tired. His body disappears. His identity disappears from his consciousness because he doesn't have enough attention - like none of us do - to really do well something that requires a lot of concentration and at the same time to feel that he exists, so existence temporarily suspended. Now, when that happens, the music just flows out. And so many of the people described this as a spontaneous flow that I call this type of experience the flow experience. RAZ: Mihaly found that flow, this experience of fully losing yourself in an activity, wasn't specific to musicians or artists. He saw it in chief executives and assembly-line workers in Detroit, Himalayan mountain climbers, Navajo shepherds, Olympic athletes. Whatever they did, if they found a way to experience flow in their lives, they seemed to be truly happy. CSIKSZENTMIHALYI: The world is so full of things you can do that you can try to do better. And if you can do that, it doesn't matter what you are doing. RAZ: Mihaly described one man he interviewed during his research who worked in New York City. CSIKSZENTMIHALYI: ...And he describes how you take a fish, a 30, 40-pound salmon, and you drop it on the counter, one after the other, until you develop a three-dimensional X-ray of how the fish is made inside by seeing how it ripples and how it sounds when it falls on the counter. And then takes these knives that he always sharpens, and then starts cutting these fish so that he avoids the bone structure that would be in the way, and makes the thinner slices as fast as possible with the least effort possible. He developed this into an art form and is very proud every night. When he goes home, he knows that he has filleted better than anybody else could do in the world. RAZ: What would Abraham Maslow think of this? This idea that happiness can be found in ordinary moments where we lose ourselves in extraordinary ways? He didn't call it flow, but he had a different name for it. He called it peak experience. MASLOW: ...In a peak experience, in some great moment, it's possible. But we just can't say perfect. You must give up the notion of the permanent heaven. We can get into heaven, but for five minutes, then you have to come back to the world again. RAZ: Abraham Maslow speaking in 1966. You can see Mihaly Csikszentmihalyi's entire talk on flow at ted.com. RAZ: Hey, thanks for listening to our show on Maslow's hierarchy of human needs this week. Our production staff at NPR includes Jeff Rogers, Brent Bachman, Megan Cain, Neva Grant, Jinae West and Chris Benderev, with help from Daniel Shuchman. Barton Girdwood is our intern. In the front office, Eric Newsome and Portia Robertson-Migas. Our partners at TED are Chris Anderson, June Cohen, Deron Triff and Janet Lee. I'm Guy Raz, and you've been listening to the TED Radio Hour from NPR. Transcript provided by NPR, Copyright NPR.